The Harry Potter© books spawned a series of movies, multiple theme parks, and — most importantly — a widespread community of passionate fans. Within the fictional stories you’ll find characterizations of the four houses of the Hogwarts School of Witchcraft and Wizardry: Gryffindor, Slytherin, Ravenclaw, and Hufflepuff. Students are sorted into one of these while attending the school, but anyone can take Pottermore’s quiz to find out where they would belong. Sorting is based on a person’s traits, and consequently the assignment of a Hogwarts house can act as a personality test similar to the Myers-Briggs Type. Gryffindor values courage and bravery, Slytherin is associated with ambition and cunning, Ravenclaw focuses on creativity and learning, and Hufflepuff exhibits traits of patience and loyalty. With all of this in mind, we decided to look further into how people in each house differ when it comes to their European travel preferences. 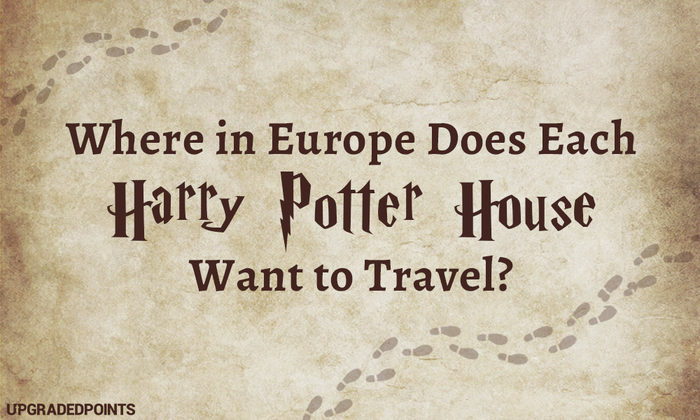 Read on to find out where each house wants to travel! We conducted an online survey of over 1,560 respondents, asking them first to identify which Hogwarts house they belong to based on their Pottermore Sorting Hat quiz results. Next, we asked them two questions about their European travel preferences: which European cities they’d most like to travel to and what their favorite kind of vacation/travel is. 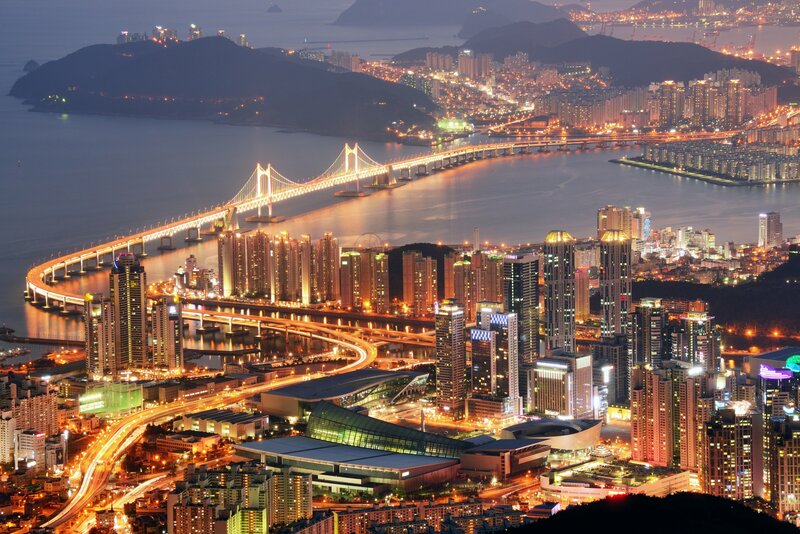 Respondents were given 28 cities to choose from, and were allowed to select up to five. They could only select one type of vacation/travel. 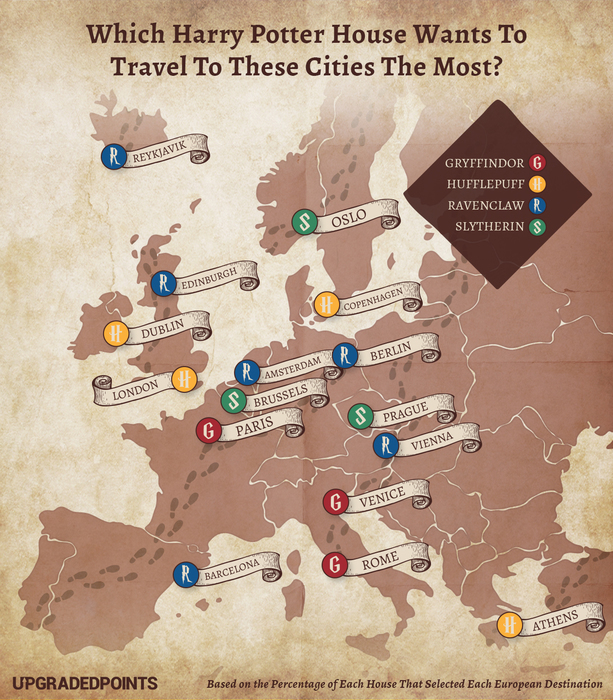 First, we decided to see which Hogwarts house has the strongest desire to travel to each European city. We found this by looking at which house had the highest percentage of respondents that selected each destination. Our results show a nice variety across Europe, as shown in the map below. Next, we wanted to see which house is most fond of each type of vacation, including adventure travel, camping, and others. 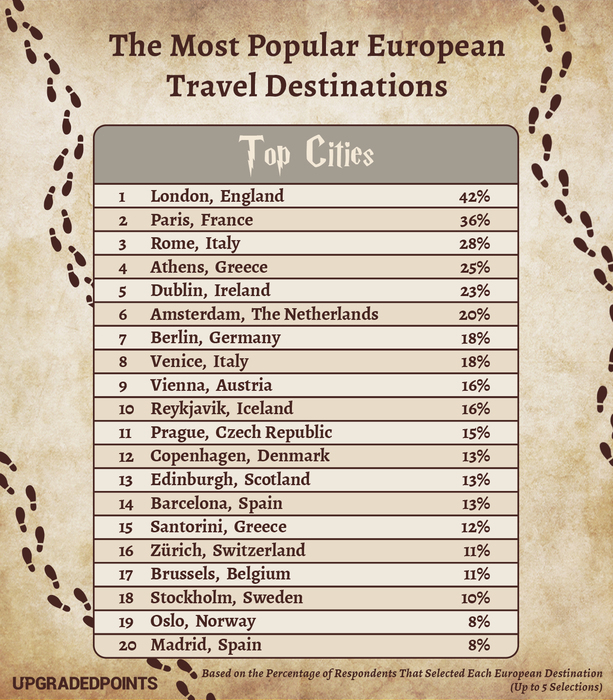 We found this by looking at which house had the highest percentage of respondents that selected each travel type. 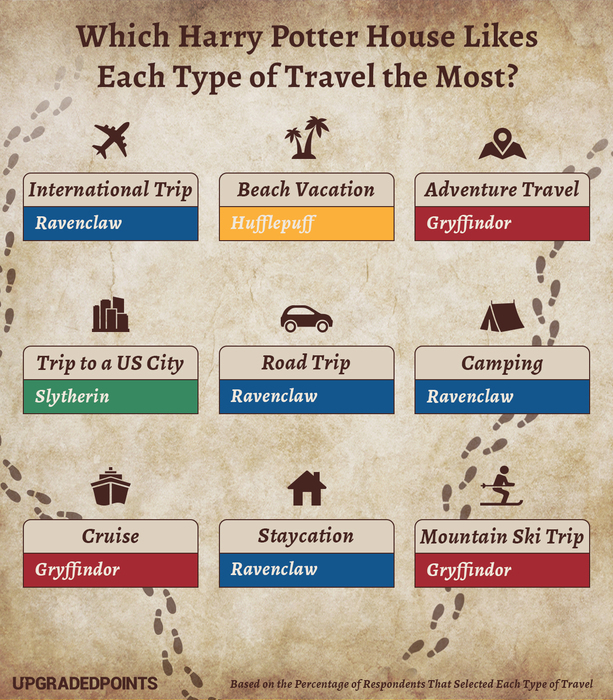 Gryffindors and Ravenclaws have varied interests when it comes to travel, while Hufflepuffs and Slytherins were each the “winner” of just one travel type. 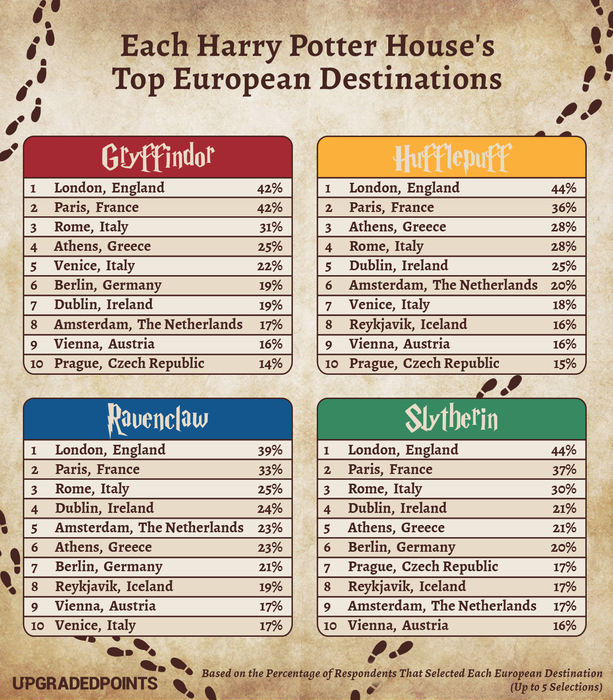 We also wanted to see which European destinations were the top choices for each Hogwarts house. For each one, we listed out the percentage of respondents that selected the city (they could choose up to five). From there, we got to see how each house differs when it comes to their travel dreams! As it turns out, all of the Hogwarts houses have similar favorite European destinations. Each of them ranked London and Paris as their top two, with some variation in preferences after that. For example, Hufflepuffs didn’t rank Berlin in their top ten, while the other three houses did. Alternatively, Gryffindor was the other house that left off Prague from their top ten cities. We also wanted to look at the results overall to see generally where Americans want to go in Europe. London and Paris still came out as the #1 and #2 spots, with 42% and 38% of respondents selecting them, respectively. Giving respondents the ability to select up to five destinations allowed us to get a broader look at European travel preferences since it gave us more data to work with. Plus, most travelers have quite a few places they’d like to see, rather than just one, so we wanted to make sure our survey data reflected that. Finally, we dug into the data for each Hogwarts house to see how they rank each type of travel. Interestingly, every house except for Slytherin prefer international travel over anything else. Perhaps this makes sense, as Slytherins can sometimes be seen as the odd group out (but that makes them special!). Hogwarts houses were a fun lens through which we looked at Americans’ travel preferences. If you haven’t taken the Harry Potter© sorting hat quiz, you should try it, then see if your travel dreams line up with others in your house! At the end of the day, though, there’s no wrong answer when it comes to your favorite places to travel. Europe is full of wonderful cities with a diverse set of amenities and each one is worth a visit. 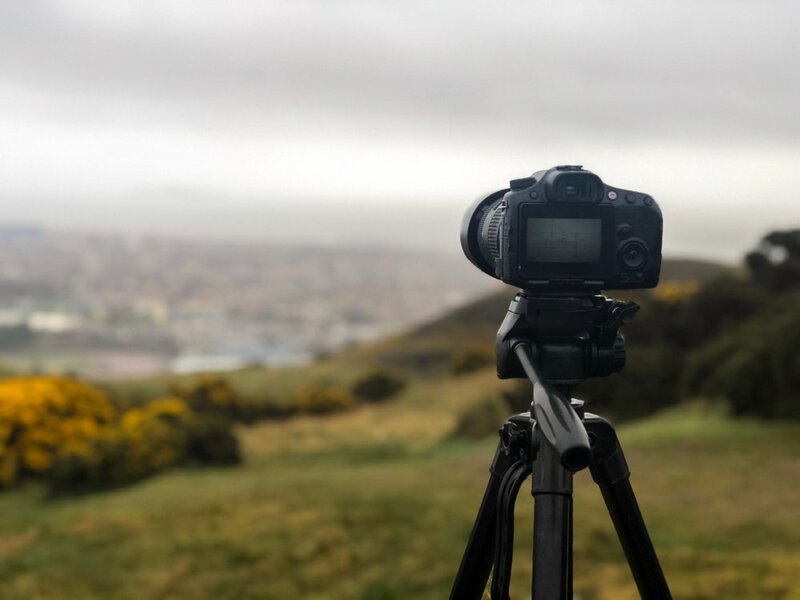 Plus, it can be a good starting place if you’re an English speaker who hasn’t traveled abroad much yet — many locals are familiar with the English language (though it doesn’t hurt to learn a few phrases in their native tongue). 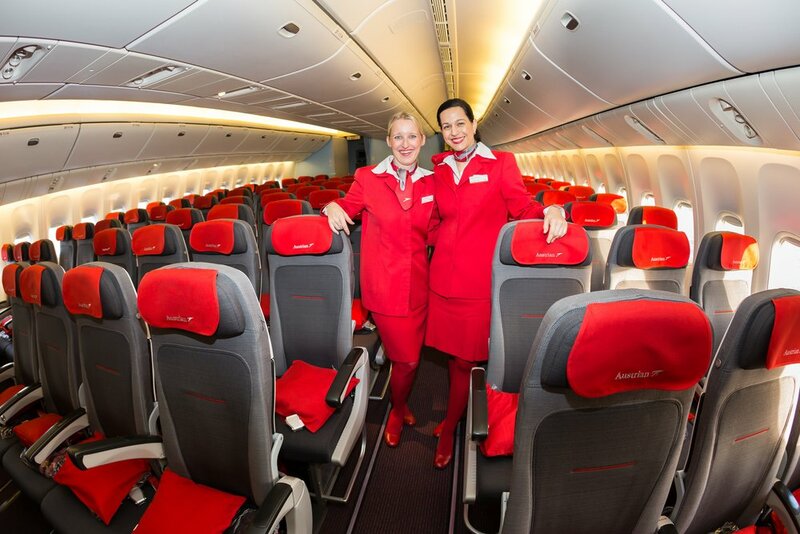 And if you can use points to make your European trip happen, then even better!